My paper Making Dictionaries Serve [Bible] Translation is here on Academia.edu open for comments. Below is the abstract and introduction. A paper presented at the 2015 Bible Translation Conference hosted by GIAL Dallas, Texas, 16-20 October relating to the sub-themes Technology and other Tools, Theory & Practice and Translator Training. None of the translators I have worked with in Nigeria have known what a difficult task they were letting themselves in for when they first expressed an interest in translating the Bible for their people. What seemed like a relatively simple task (pick up an English Bible, write what it says in our words) rapidly becomes more and more complex. Some are disheartened and others increasingly gripped as they discover the differences between languages, the challenges of translating anything and the particular difficulties all language pioneers face. Although in multilingual societies people are ‘translating’ every day, there’s admittedly a lot of muddle in that communication as people stumble over the mismatches between languages. Written translation (as opposed to immediate oral interpretation) gives us a great opportunity to take time to anticipate problems and to get it right. Unfortunately so much of the time I’ve found translation teams going round and round in circles while increasingly desperate to see progress. Why is this so common? What solace is there? What could we do better? New strategies, methods, software and training have been suggested,1 but few translators and consultants really expect a dictionary to be much help. Indeed, while in times past missionary linguists would often labour to produce a dictionary, grammar and translation of the scriptures,2 for a variety of reasons dictionaries are no longer routinely produced except possibly as an afterthought once the whole Bible has been ‘finished’. This is unfortunate, not merely for ideological reasons but for profoundly practical ones. We would do well to remember how dictionaries contributed to past Bible translation efforts and consider how (mother-tongue) translators might build them to help in current methodologies of Bible translation. John Roberts has written a helpful case study of how linguistic study informed the Amele translation (Roberts 2013). Building on this and my own observations, I contend that many problems and inefficiencies faced by Bible translation projects could be addressed by producing and using some kind of dictionary throughout the lifetime of the project. I begin by analysing some of the key difficulties present in translation (and checking), with a focus on issues where some kind of dictionary could help. Then I examine what kinds of writing support translators need, examining what features of dictionary entries might be most helpful for translators and what common mistakes people make in the construction and application of dictionaries. Putting this theory into practical shape, I propose some low-cost, high return ways that translators can begin with the tools they already use (eg Paratext) to start building a useful dictionary, gradually growing into a more sophisticated effort, but always with a focus on investment and immediate return. Finally we return to some of the dangers and discouragements that we need to avoid in this enterprise. I must confess to being one of those strange people who loves reading dictionaries, loves discovering and using new words, delights in groan-inducing wordplay and is frequently caught in the cross-fire between clarity and circumlocution, mired in mixed metaphors. 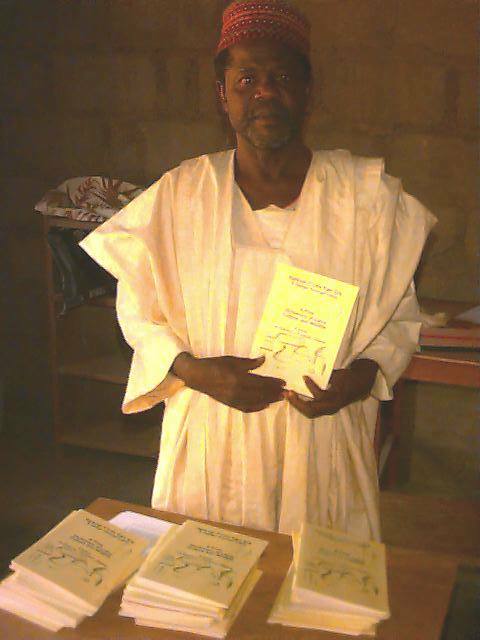 I spent nearly a year collaborating on the C’Lela dictionary in NW Nigeria in 2001 which cured me of any lingering prescriptivist leanings and inspired me to switch my focus from software engineering to Bible translation. Subsequently I have taught dictionary making and computers in linguistics at the Theological College of Northern Nigeria and have taken a keen interest in rapid word collection and software such as WeSay that enables people to collaborate in lexicography. (In 2001 I wrote my own collaboration system to support the C’Lela dictionary development and so I’ve been delighted to see others implement better systems.) Since 2011 I have worked as a translation consultant (in training) with several languages in central/northern Nigeria, with a particular focus on Gworog3 since 2013. My focus in this paper is on support for undocumented, underdeveloped languages where it is likely that the only significant writing will be a translation of the Bible. It is possible that translators of fairly well developed languages and languages of wider communication (LWC) may be able to gain some insights and ideas, but in such cases I assume that others may already have worked on dictionaries for those languages. The challenge may be encouraging translators to use (and improve) the dictionaries that exist in a careful manner. 1cf BT2013 and other recent papers on accelerating Bible translation, such as Mark Gaddis, Expediting Bible Translation, 2013. 2cf the 18th, 19th and early 20th century translations in Africa, such as mentioned in (‘Robert Moffat (missionary)’ 2015) and (Moffat 1869, 42).